Servicing & Repairs - Mas Mechanical - Mechanical, auto electrical & airconditioning specialist servicing Mount Isa and surrounding regions. 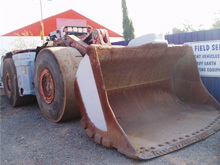 At MAS Mechanical, we provide minor services and repairs to complete overhauls on all types and makes of heavy and light vehicles, underground and earthmoving equipment. 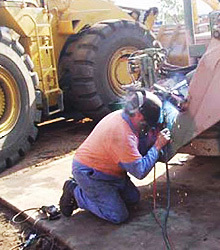 We specialise in auto electrical, hydraulic system repairs, rebuilds and much more. We are the preferred supplier for all Xstrata and mines road worthy’s. Our two well equipped Field Service Vehicles and experienced tradesman are also on hand to provide quick response times – 24 hours a day, seven days a week or over the phone help and support if needed. For more information about any of these services, please call us on (07) 4743 1506 or complete our online form.